Founded by director John Thomas, the Santa Cruz City Band consists of several Santa Cruz area volunteer musicians and performs several times every year in and around Santa Cruz. Yvonne and Norman started playing with the band in 1999 with Yvonne on bass trombone and Norm on third trumpet. Over the course of their participation, Norm also played percussion (drum set), tuba, and euphonium. In performance on December 20, 1999, . 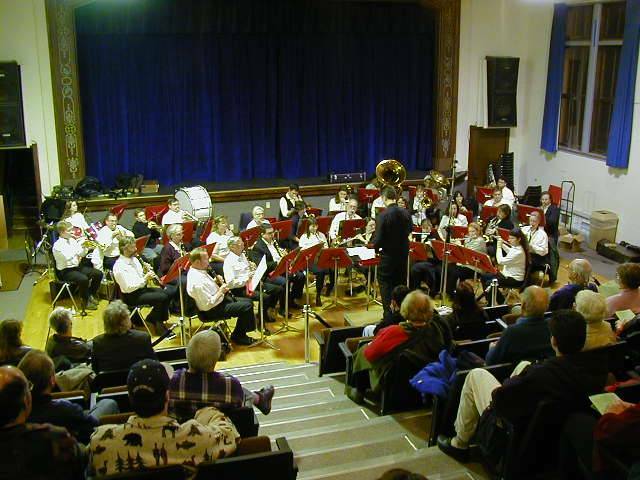 Yvonne is on bass trombone in front of the smaller tuba (right side of the band) and Norman is on trumpet second from the left in the third row.